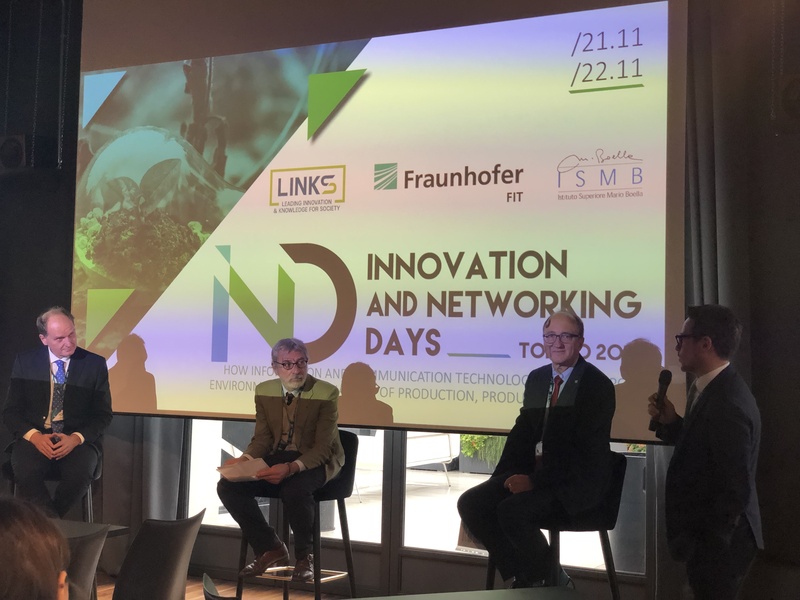 On November 21 – 22, 2018 the Innovation and Networking Days was hosted in Torino by the LINKS Foundation, following the two previous successful editions held in Bonn in 2013 and 2017. 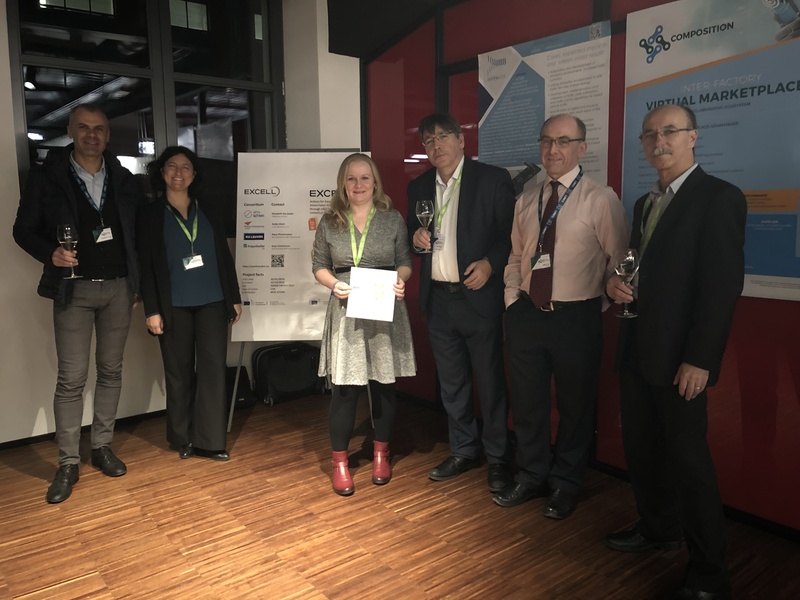 The event was co-organized by ISMB and by the Fraunhofer Institute for Applied Information Technology (FIT). Excell project was represented at the event by posters and input to the World Cafes. 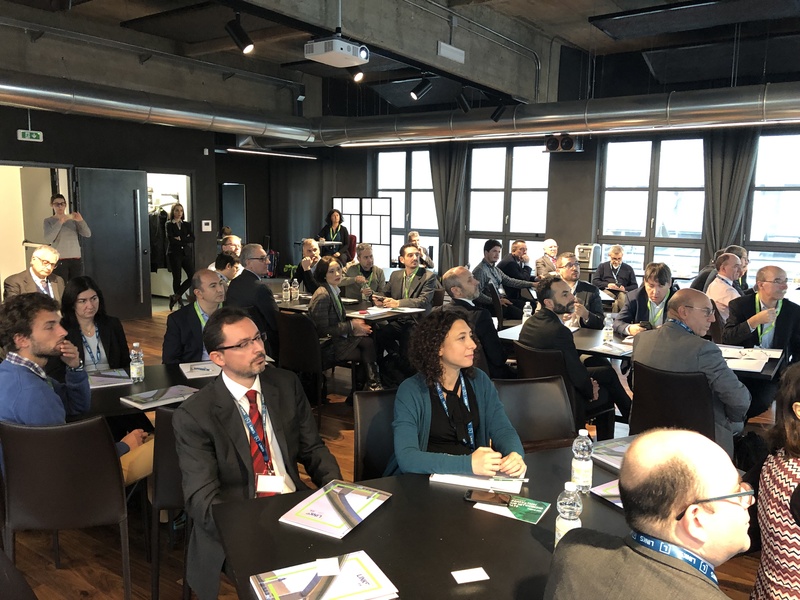 Also this year more than 80 participants from research and industry came together to discuss experiences on how information and communication technology can support the sustainability of production, products and services. 16 speakers from leading international industry and research institutions, provided highly topical and practical information. The attendees were given insights into current development trends and ongoing projects in research and industry. Motivated by the contributions, innovations, developments and current trends on topics such as intelligent mobility and logistics, citizen engagement for smart cities, circular economy and sustainability and the digitalisation of manufacturing and production systems were discussed at a World Café. At the evening networking buffet, the discussions of the day were deepened in a relaxed atmosphere and new contacts were made. The event unfolded through two consecutive half-days organized around inspirational speeches and technical presentations, informal discussions at World Café and networking opportunities. Detailed agenda can be vizualised here. For more information and downloadable presentations, please visit the following links: link1 and link2.